Laxness: Am I being overly passive? 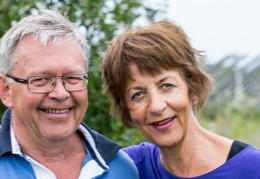 Dag Spilde and Maria Gjems-Onstad answer questions about meditation. Dag is a chief advisor and project manager at EDB ErgoGroup ASA, and Maria is a clinical psychologist in Oslo. Both have more than 30 years of experience teaching Acem Meditation. . I currently find that the meditation sound is almost entirely absent in my meditation. There are either only thoughts passing through my mind, or the meditation sound goes on autopilot while thoughts whiz through my head. Afterwards I can’t remember whether I have repeated the sound properly. Is this what you call laxness? I try to pull myself together, but am only able to do so a short while and then I seem to derail again.